A Kimberly-based Indigenous business development program is behind a new program providing advice to aspiring entrepreneurs, helping to get their ideas off the ground. Morrgul Pty Ltd is funded to provide business support to people of the Kimberly to get them ready for business and provide them with skills and training, and to help them during the start of their business and the ongoing management of their business. 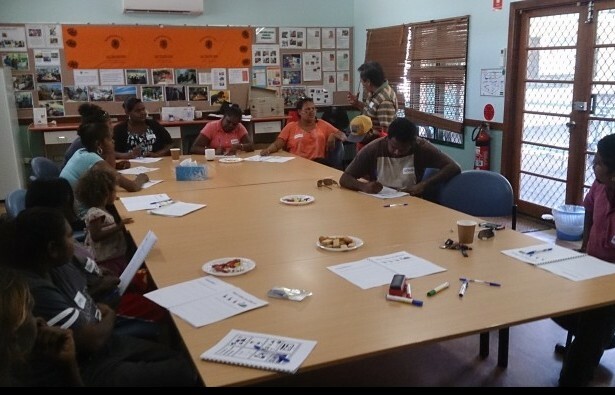 Recently, the team put together some workshops to encourage Aboriginal and Torres Strait Islander people to come together in order to create jobs, economic benefits and economic independence to those living in the Kimberly. “We only started in October last year, so really this was the first series of workshops and we were really pleased with the outcome and level of participation across the region,” Managing Director, Melissa Hartmann says. Through their first workshop series, the group realised that they could be even more effective, and rather than using a ‘one size fits all’ technique, they are planning different workshops for different areas and interests. “We’re also looking at different industry types as workshops. We’ve done a tourism workshop in the east Kimberly and we hope to also do that in the west Kimberly as well,” Melissa says. Some of the industries that are thriving in the region include agriculture, tourism, earthmoving and machinery and transportation. “Tourism is a big one up here because, I guess, that’s where a lot of opportunity lies. There are also businesses in earthmoving and machinery, transport, and there are other businesses in arts and craft production,” Melissa says. From their last workshop, Morrgul now expects to be helping 12 businesses through the start-up phases, and into operation. A second workshop has been planned for August this year. The post Morrgul’s Kimberly moguls appeared first on Deadly Vibe.